Drug store chains in Ho Chi Minh City have begun implementing “Good Pharmacy Practices” by consulting patients on how best to use drugs, selling only medicines of clear origins, and properly preserving products with the appropriate storage technology. Pharmaceutical companies ECO, SPG Pharmacy and V- Phano are operating such stores, which have been offering their products at reasonable prices. Leaving the Medical University Center in Hong Bang Street, District 5, patient Ho Ngoc Quang from the Mekong Delta province of An Giang quickly visited an ECO drugstore on Hung Vuong Street to fill his prescription. He said the drugs he bought were slightly cheaper than at other shops and that the pharmacist treated him very well. Pharmacist Lam My Tien said Vietnamese patients tend to use foreign-made tablets and that good pharmacists are necessary to explain that Vietnamese drugs are just as good and only a portion of the cost. She also said knowledgeable pharmacists are needed to explain to patients exactly how to use the drugs. She said Australian-made Panadol costs VND1,000 a tablet while it is VND700 for a locally-made substitute that produces the same results. If a pharmacist does his or her job effectively, patients will benefit and the fledgling domestic drug industry will grow, said Ms. Tien. Drugstores in the V-Phano chain and SPG Pharmacies operated by Sapharco have followed suit. These chains invested in facilities like mini-supermarkets to meet Good Pharmacy Practice standards, and the use software to manage customer accounts. 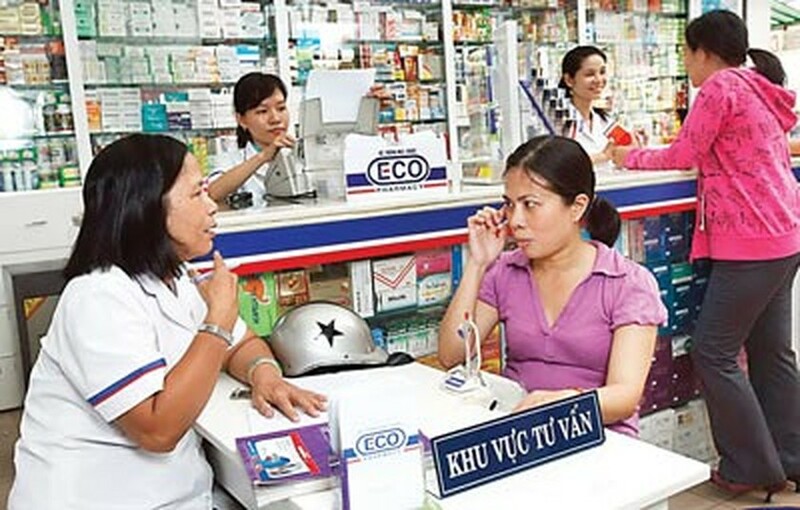 Both Le Minh Tri, General Manager of Sapharco, and Ngo Chi Dung, director of the Joint-Stock Pharmaceutical Company ECO chain, said such drugstores have direct deals with authorized suppliers to help cut costs that are often inflated by intermediary distribution channels. This helps give en-users lower prices, they said. Pham Khanh Phong Lan, deputy director of the HCMC Health Department, supported drugstore chains as managing such chains is easier than overseeing over 4,000 independent retail shops. 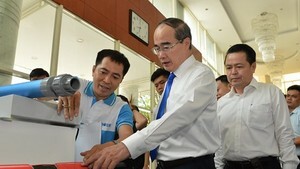 Deputy Health Minister Cao Minh Quang said the drugstore chains supply high quality medicine and useful advice while helping maintain stable prices in the city.